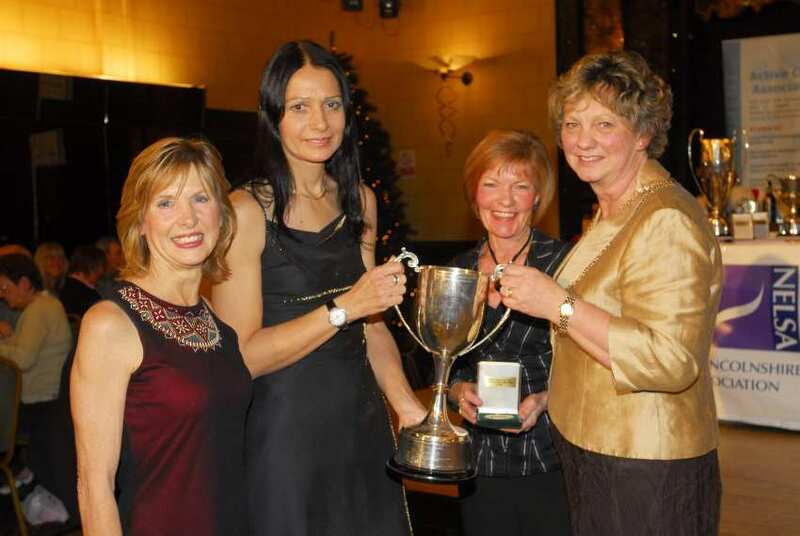 All 4 represented Humberside in the County Championships. 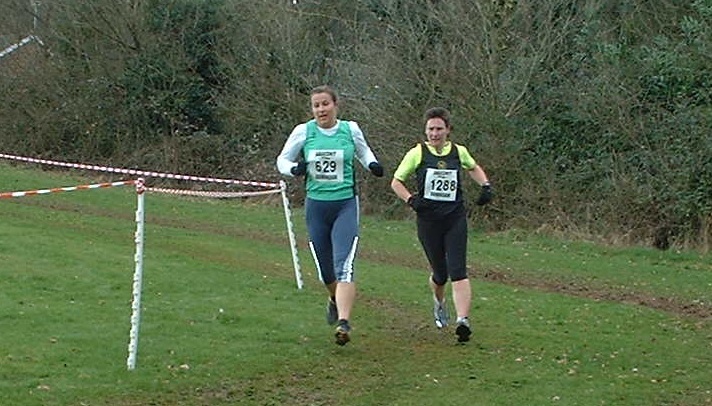 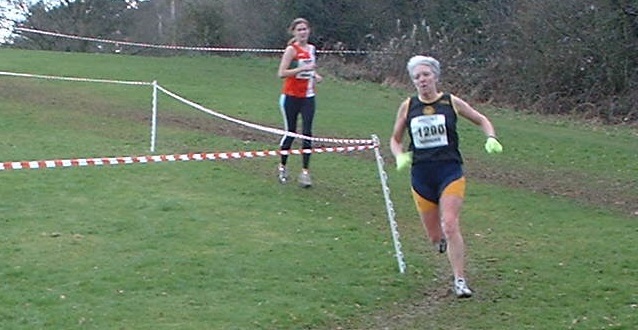 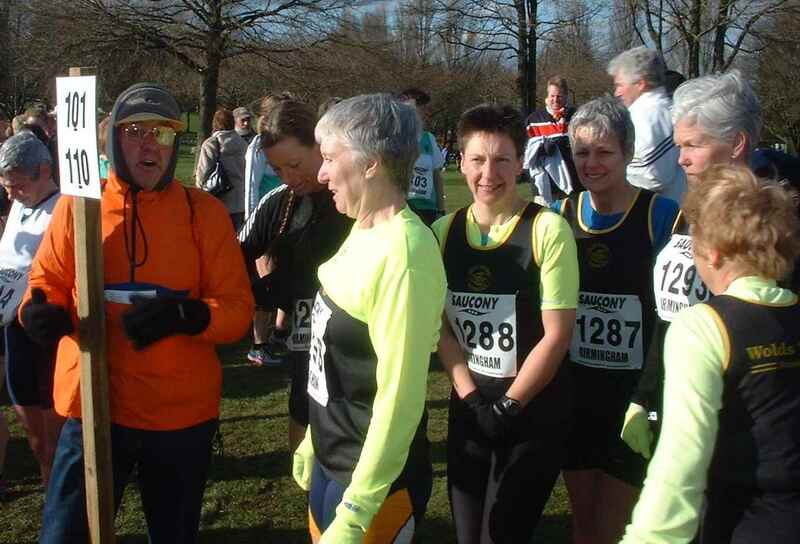 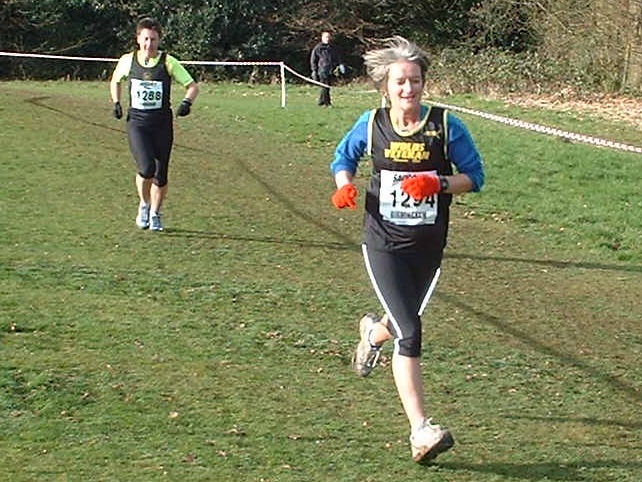 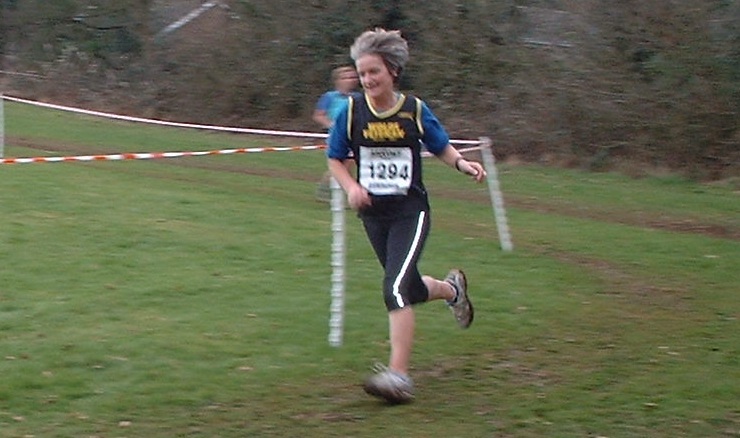 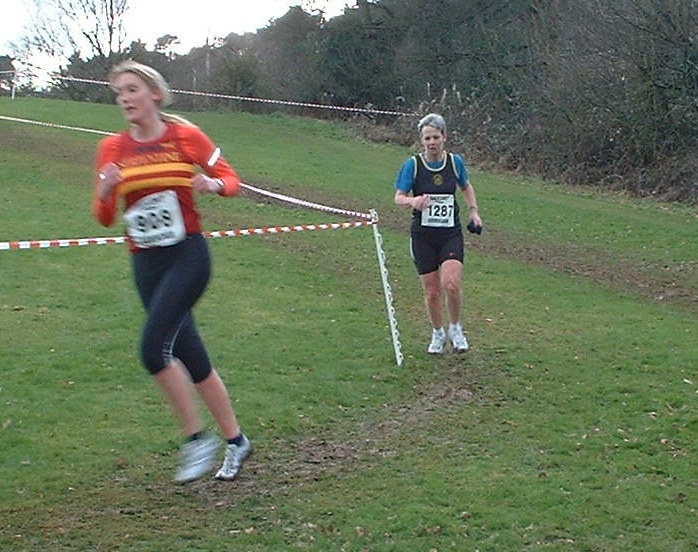 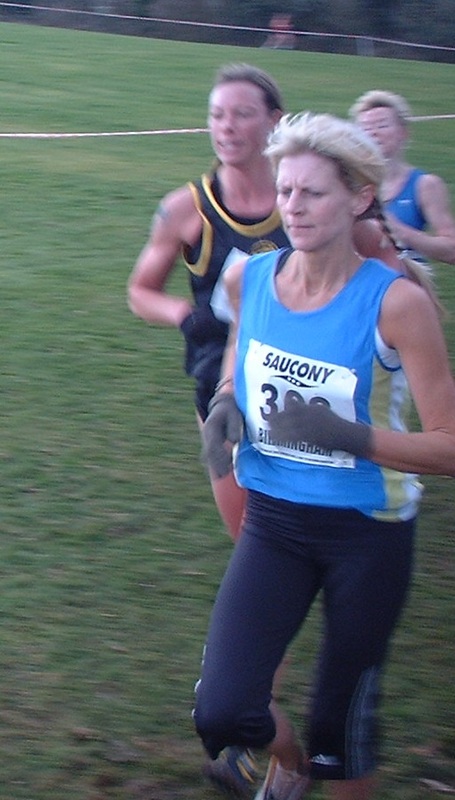 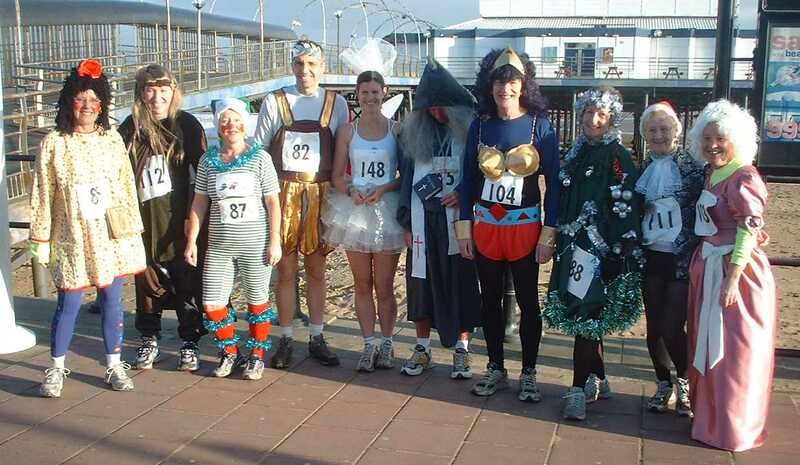 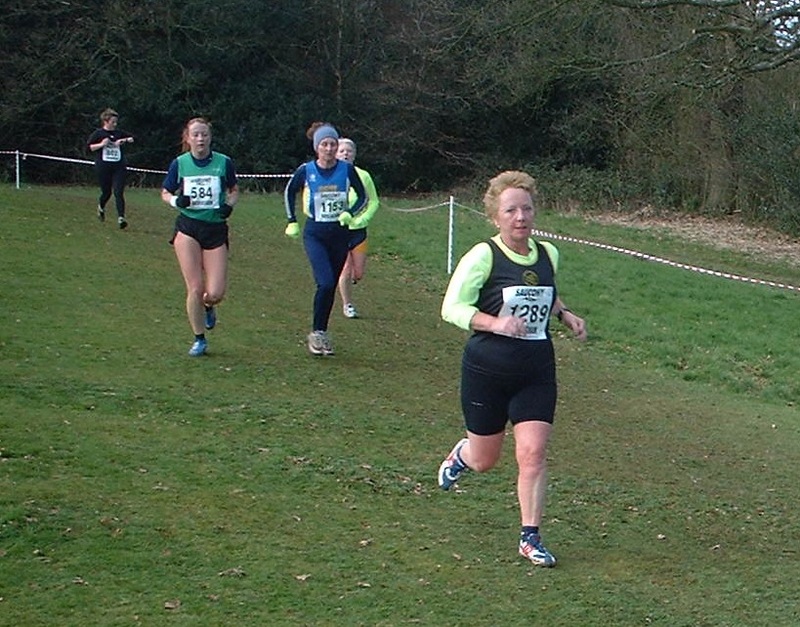 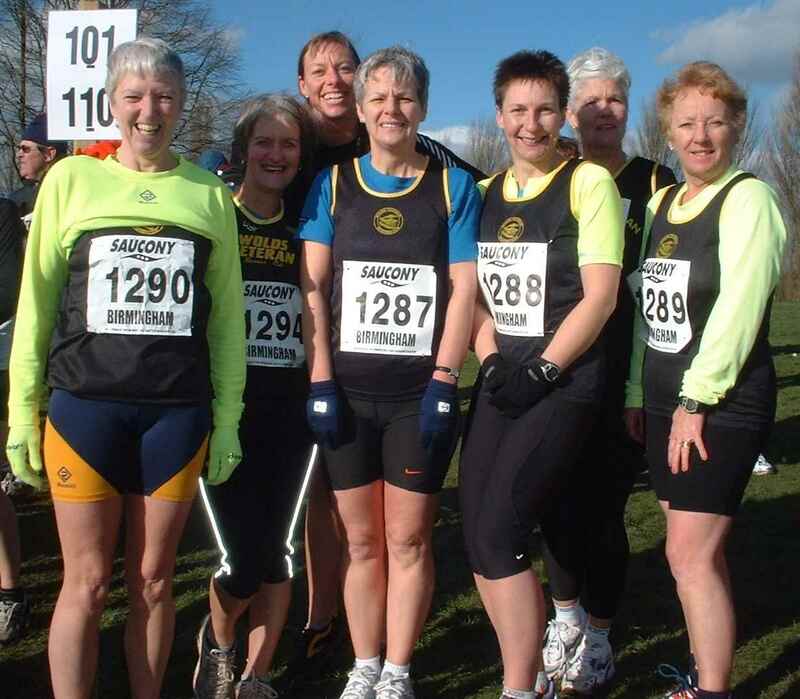 Keelby Half Marathon, photo thanks to Josie Revell. 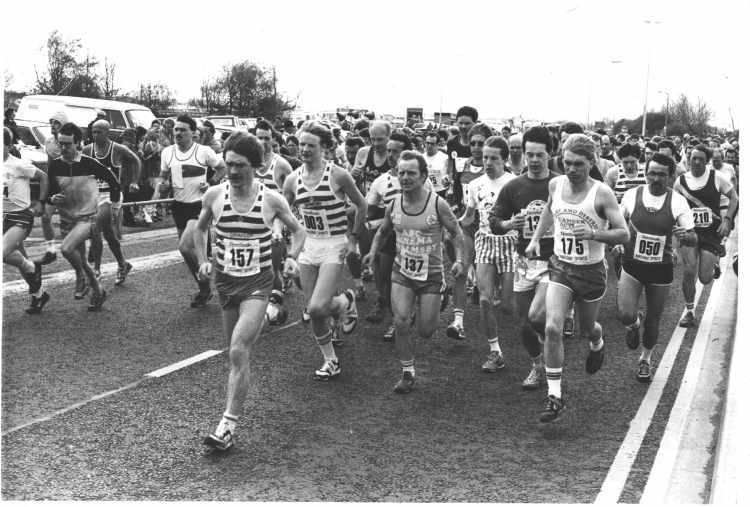 Behind front group can be seen heads of Alf Wood, John Molloy, Mel Sleeth. 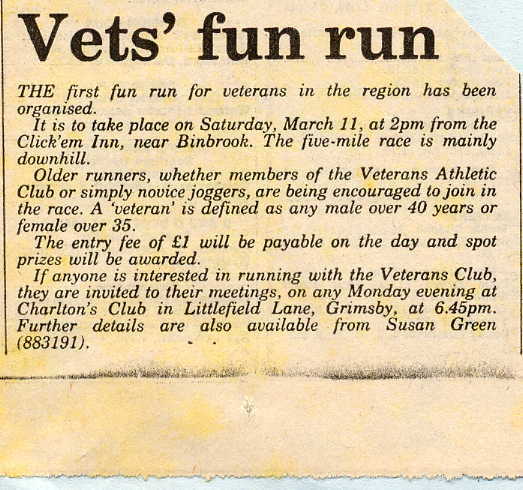 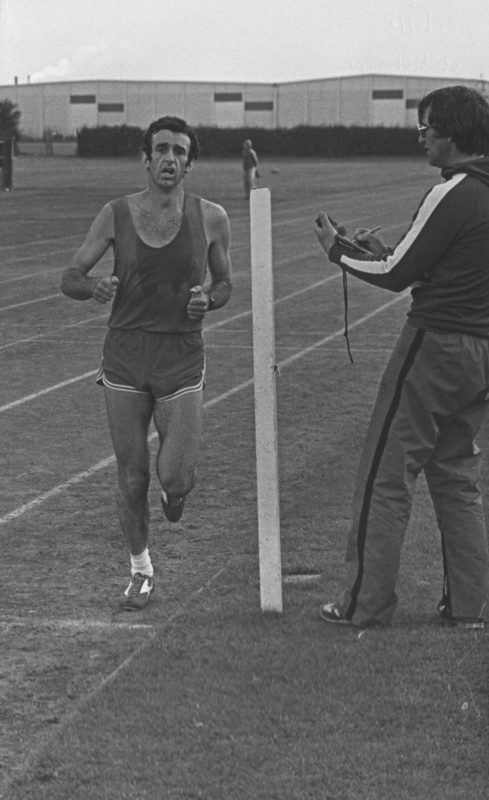 Race won by Brian Sergeant in 68.48. 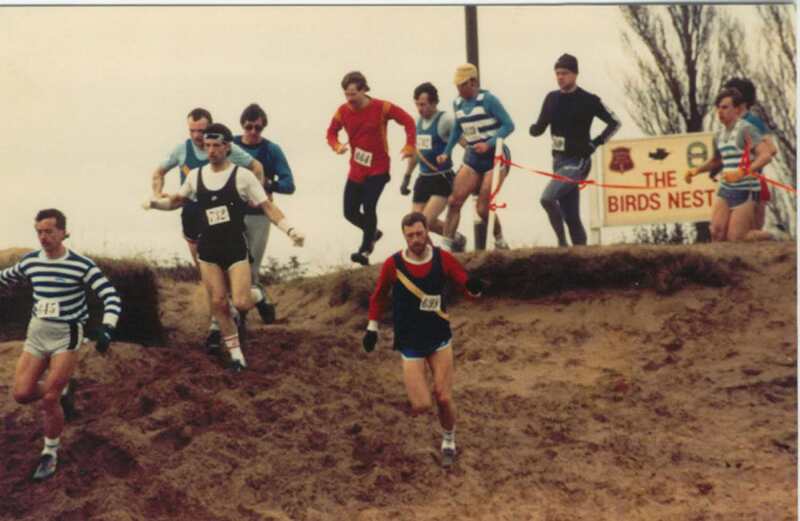 Martin Anderson 2nd, Jim Mosely 3rd. 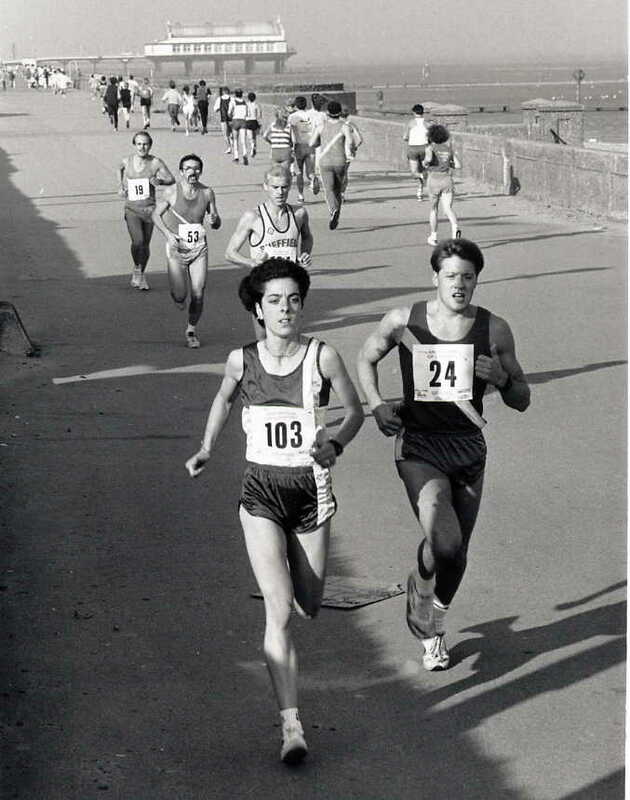 Harriers Float late 1970s Top deck, Barbara Brown, Jean Davies ? ? 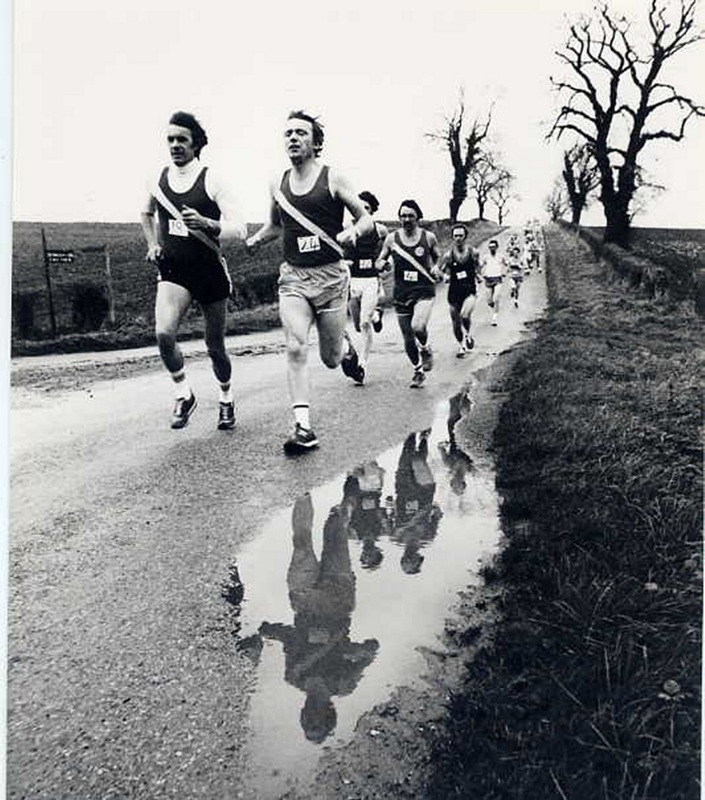 Colin Moody, Bob Lewis, Steve Capps. 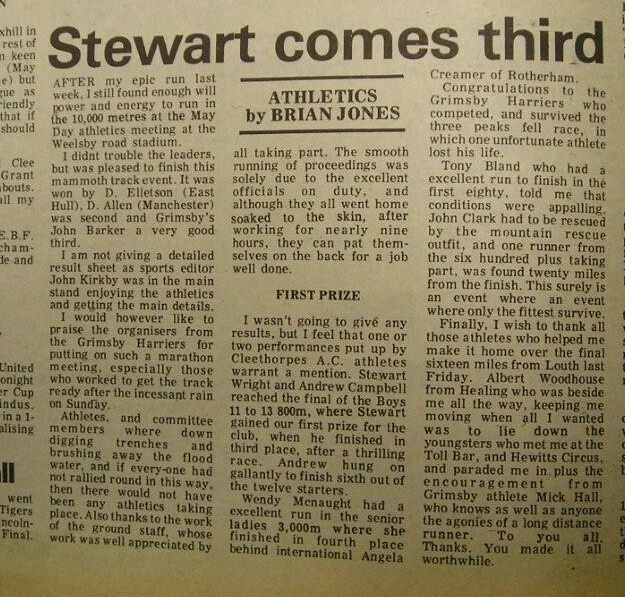 The car was owned by Rod Hill, rich sod !! 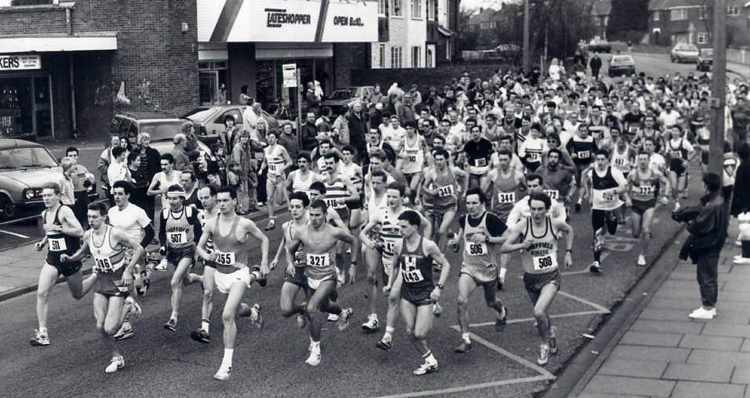 Nettleton Mad Mile circa 198? 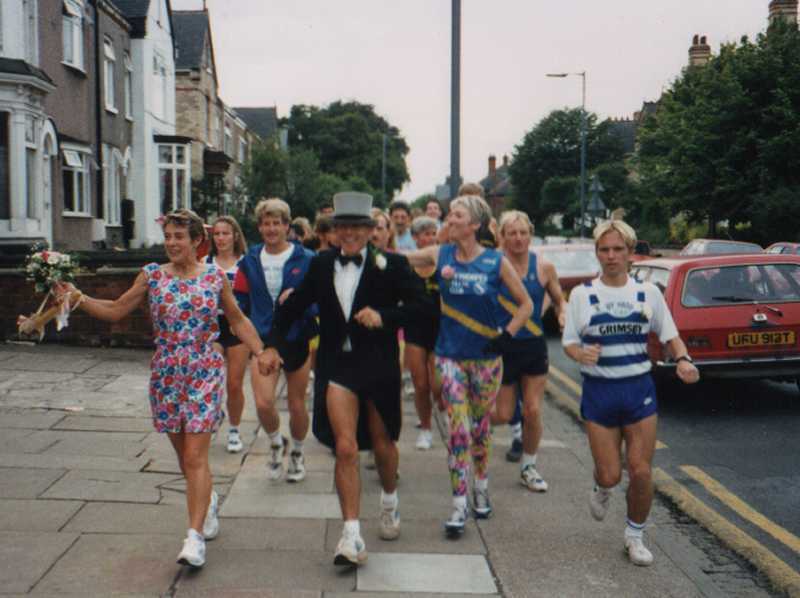 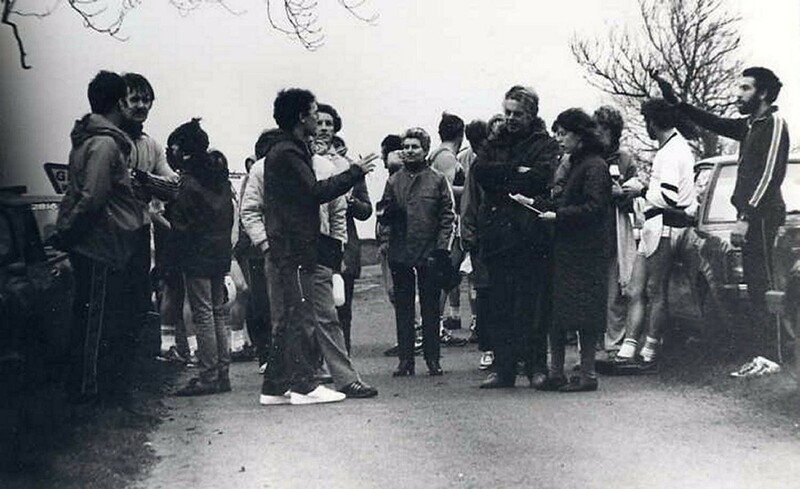 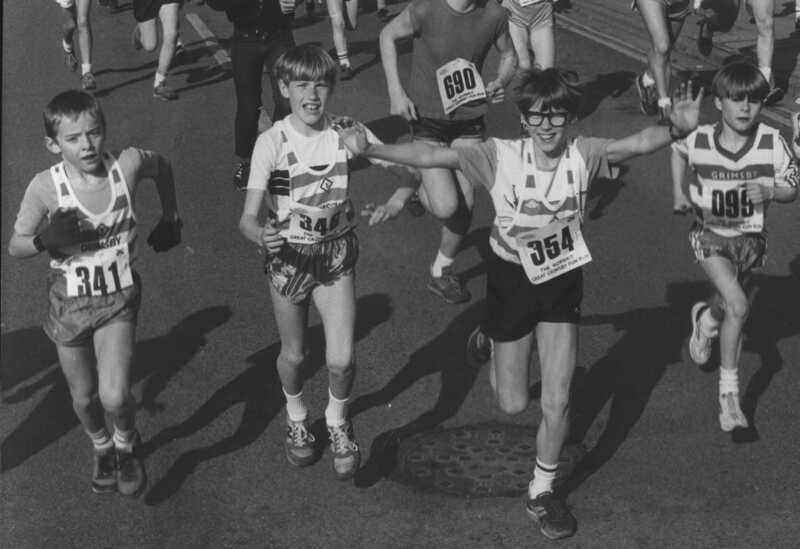 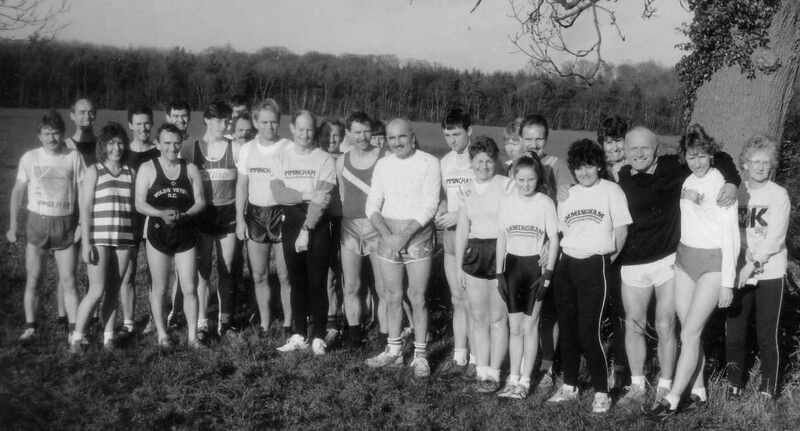 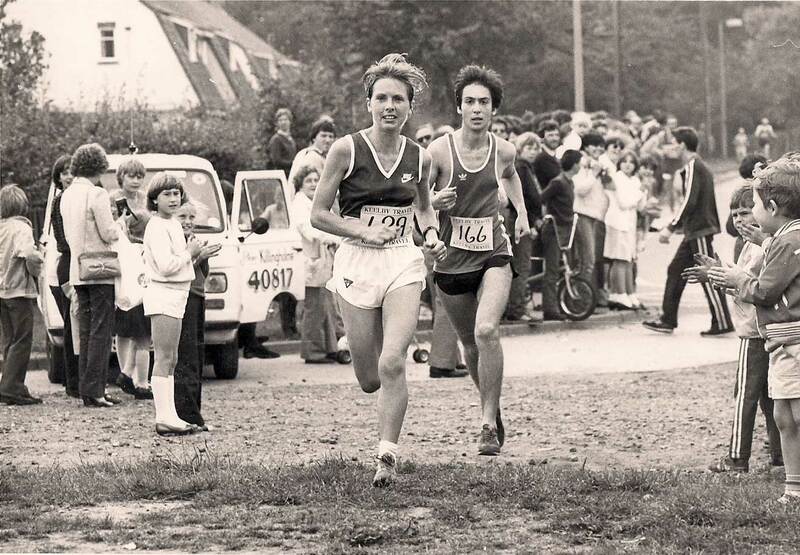 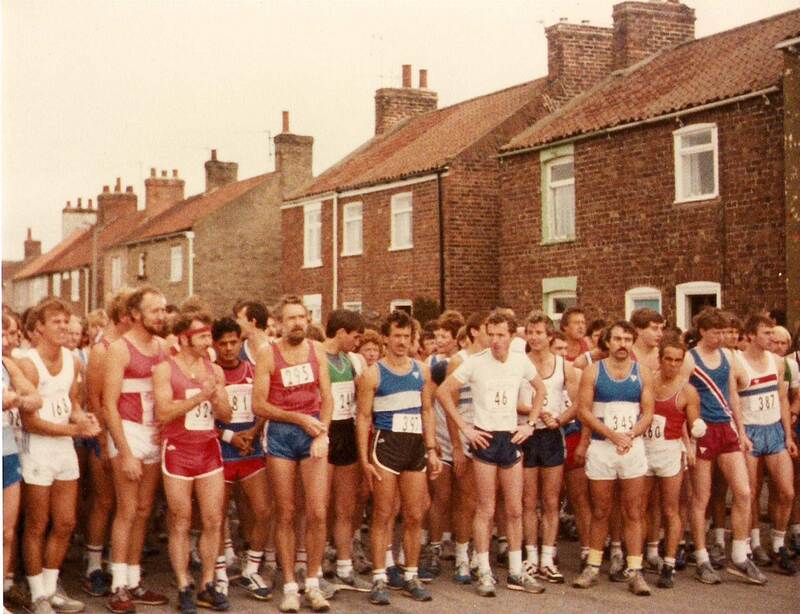 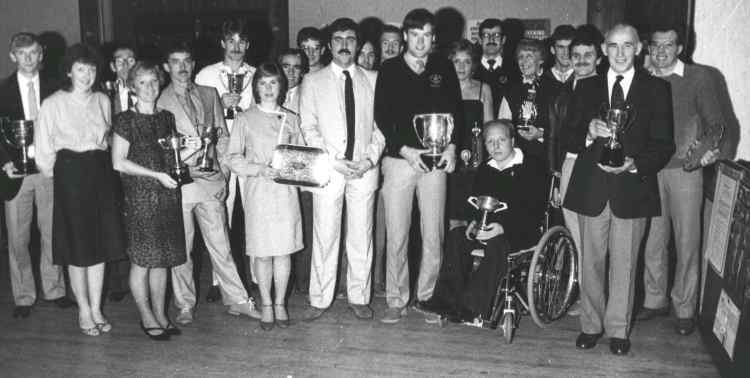 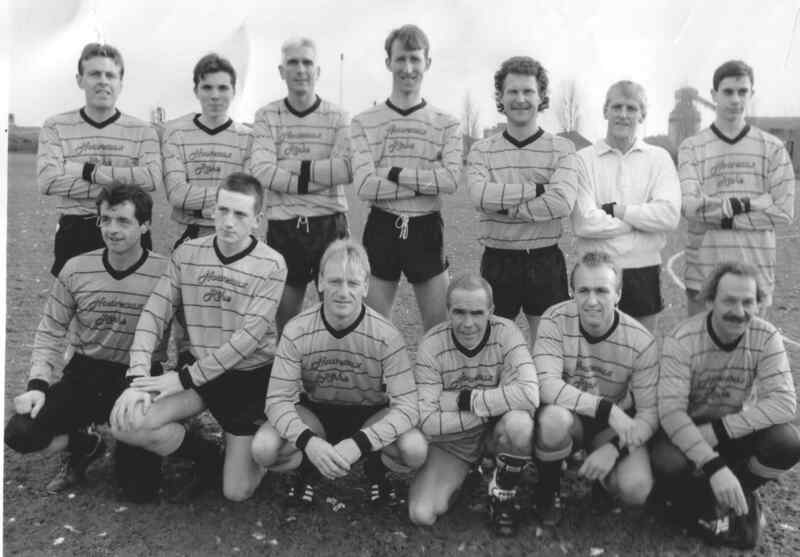 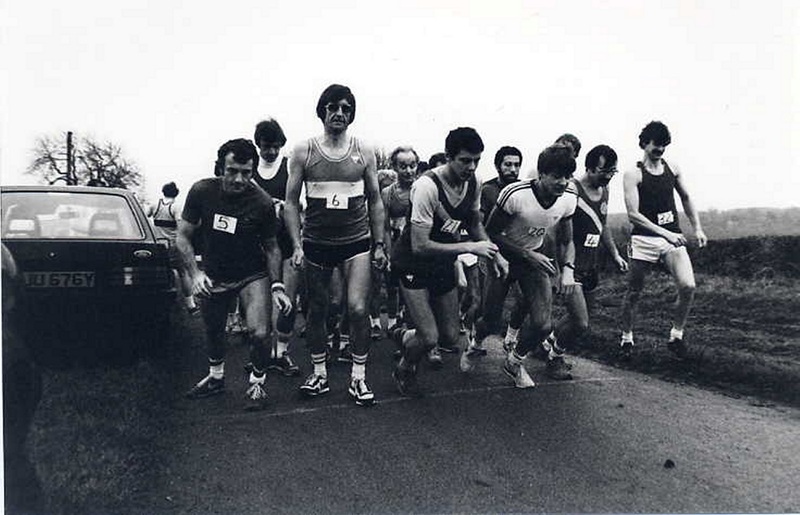 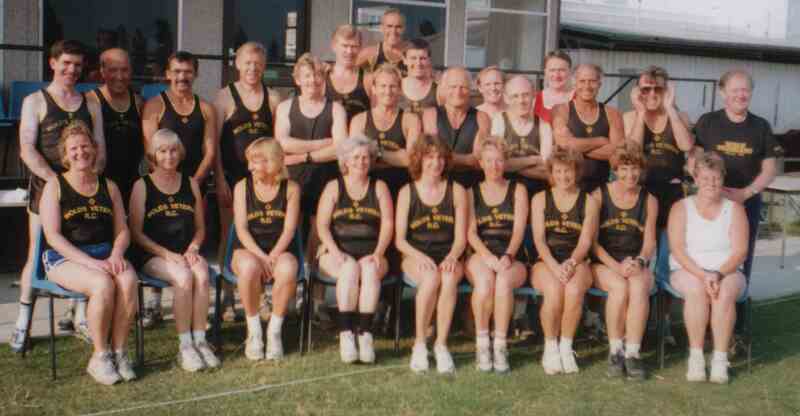 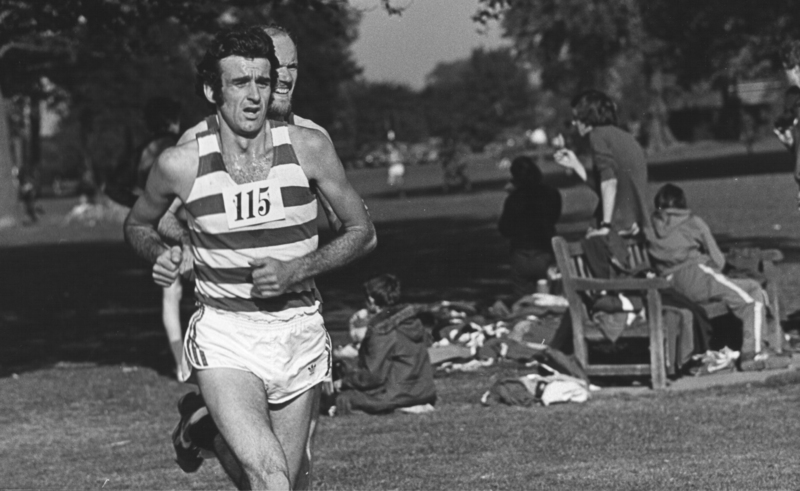 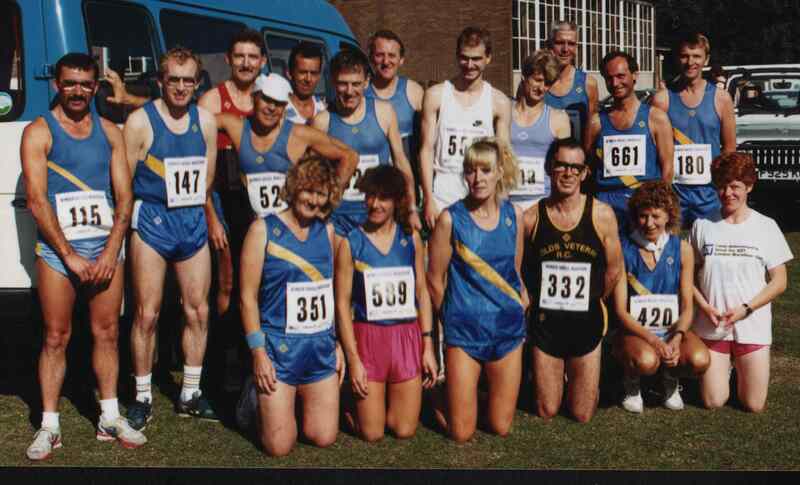 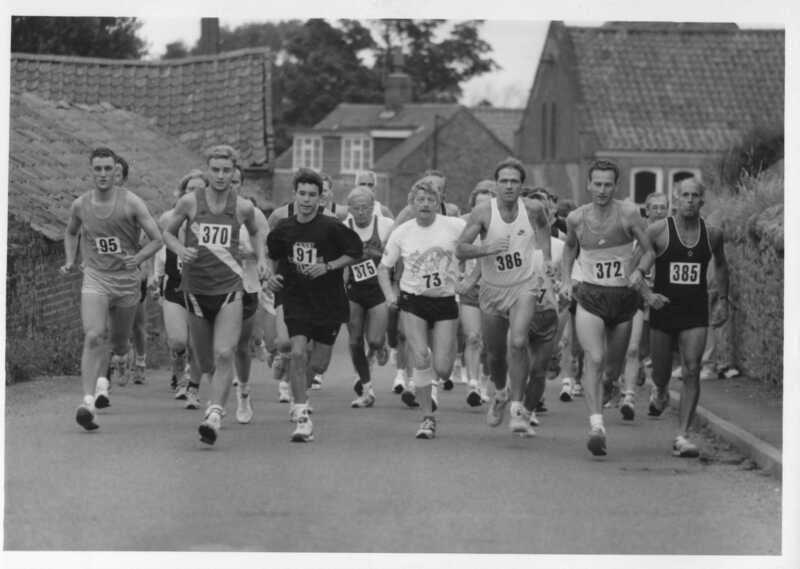 Humber Marathon 1984 Won by George Reynolds in 2.28.38.